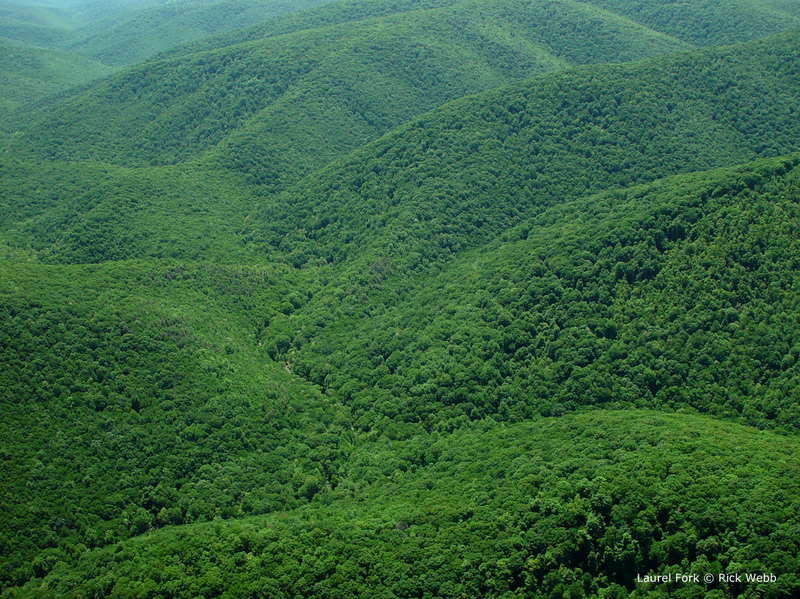 DPMC has published a new report on construction of the proposed Atlantic Coast Pipeline across Little Valley in Virginia’s Bath County. 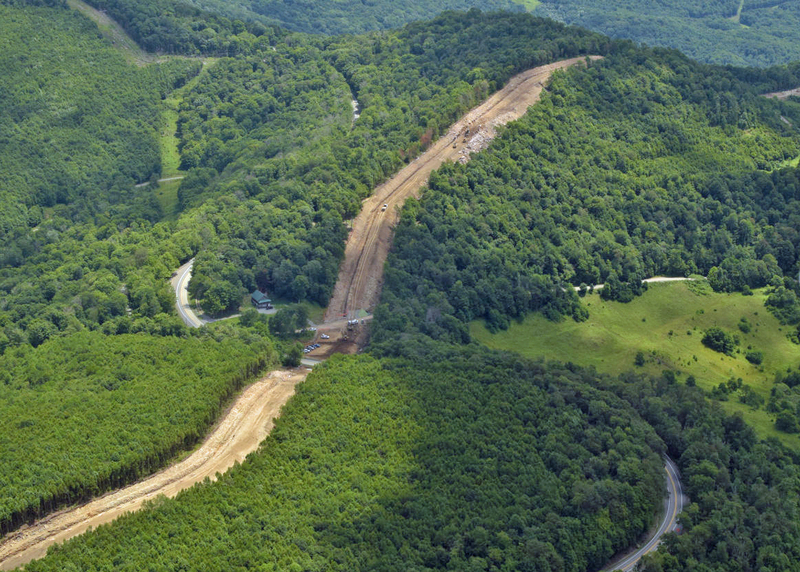 Little Valley: High-Hazard Pipeline Construction. 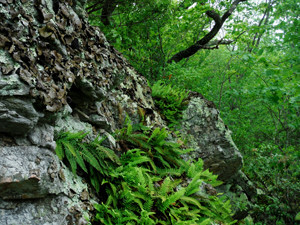 The Little Valley area, like much of the proposed ACP route through the mountains, presents extreme challenges for pipeline construction due to steep slopes, high-excavation requirements, erodible and slip-prone soil cover, and interconnected karst ground water systems. 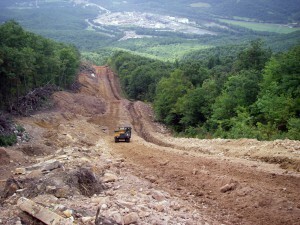 Examination of regulatory documents and available project plans for construction of the pipeline corridor and access roads in the Little Valley area reveals a general failure of the review process conducted by the Federal Energy Regulatory Commission and raises concerns about permitting by the Virginia Department of Environmental Quality. Little Valley exemplifies the significant risk posed by Dominion’s persistent failure to conduct critical studies to assess environmental hazards and to provide the detailed project plans needed for informed agency and public review of the project. 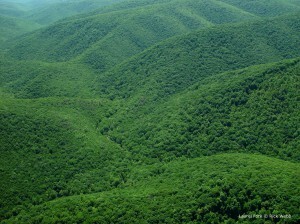 The centerline of the proposed Atlantic Coast Pipeline along the ridge crest of Little Mountain. Extreme excavation will be required for pipeline construction and maintenance of a permanent right-of-way. VADEQ announced in April 2017 that it would conduct a stream-by-stream review prior to issuing a Water Quality Certification for the ACP. We now know that the VADEQ instead plans to narrowly limit its review, and that it will rely on U.S. Army Corps of Engineers permitting for stream and wetlands crossings. 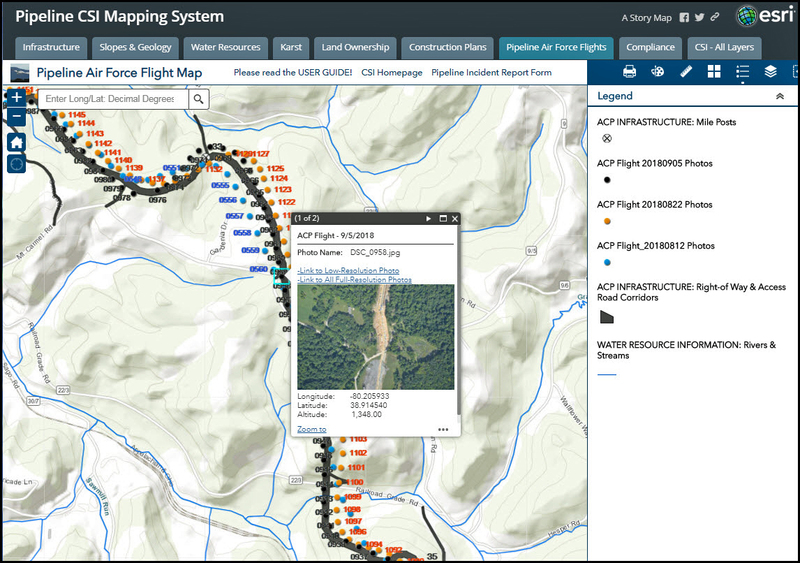 The USACE generally authorizes pipeline projects under a previously issued blanket (nationwide) permit without analysis of individual stream crossings or the cumulative effects of multiple stream crossings. To date, it seems that neither the VADEQ nor the USACE have received complete applications from Dominion, and it has not been confirmed that Dominion will be required to submit site-specific construction and environmental mitigation plans with the level of detail needed for meaningful review by the regulatory agencies and the public. 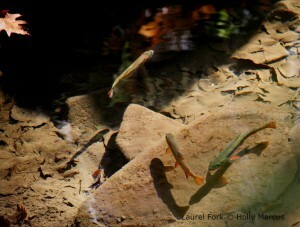 This entry was posted in Environmental Review, Regulatory Compliance by DPMC Staff. Bookmark the permalink.